After a long, grueling election cycle, it’s good to see a movie that takes our mind off it entirely. A movie about a leader trying to unite a divided nation, who seeks to free a section of the country’s population, and who must fight against stubborn and backwards-leaning political opponents to accomplish that goal. One that has absolutely nothing to do with current topics of debate. If you couldn’t tell, that’s intended to be sarcasm. Affectionate sarcasm. 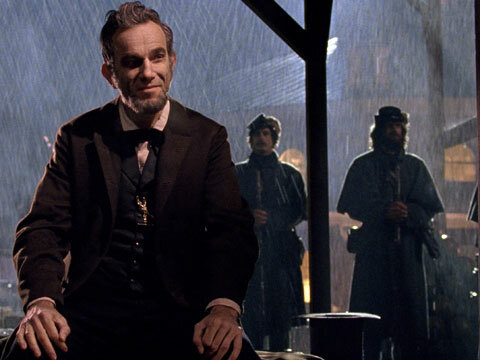 Steven Spielberg’s Lincoln puts the spotlight on the political scene in 1865, when the President (Daniel Day-Lewis, giving a predictably good performance) waged a tricky political battle in order to end the Civil War and slavery. Doubted by even his most loyal supporters, who told him he could do one or the other but not both, the film shows how Lincoln shrewdly persuaded members of both parties to support the 13th Amendment, and how that lead to the end of the war. 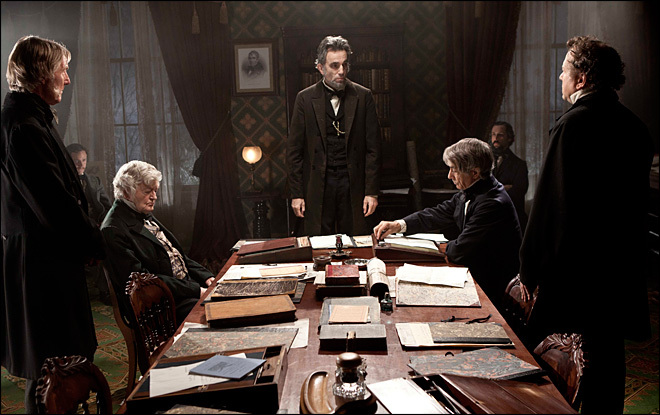 Lincoln is based on Doris Kearns Goodwin’s Team of Rivals: The Political Genius of Abraham Lincoln. But by zeroing in on just those few months of debate, and not covering Lincoln’s entire life, Spielberg allows his film to dig deep into the political machinations that often go along with significant change, and to really let us experience what that time could have been like. To say the stakes were high is an understatement. Lincoln had just been reelected, and he was enjoying a high approval rating. “No one’s ever been loved so much by the people,” his wife, Mary Todd (Sally Field), tells the President. “Don’t waste that power.” As if he needed more pressure. Lincoln knows he has nothing less than “the fate of human dignity” (not to mention the lives of all those soldiers out on the battlefield) in his hands. 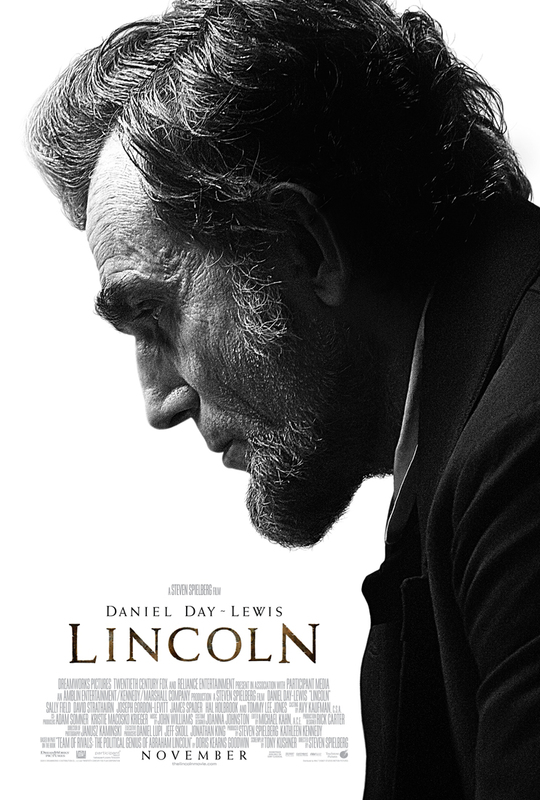 Unlike other portraits of Lincoln — statesman, lawyer, vampire hunter — this movie shows us the man as a thinker and strategist, one who needs to accomplish his goal of moving the needle forward not by conventional combat but by debate, even if that means extending the war in the process. Lincoln focuses equally on the loud, bombastic speechifying in Congress as much as it does on the private meetings that take place in drab boardrooms with advisors and at the homes of members of the House of Representatives, putting a fine point on where the real work of government takes place. It’s completely engrossing. And all through that, Day-Lewis wears Lincoln’s gravitas and acknowledgement of his possible place in history as part of his costume. He’s often seen hunched over, contemplative, deep in thought … quoting Shakespeare, and asking (in that folksy voice) questions of anyone who’ll listen and weigh the sides with him. For example, “Do you think we choose to be born, or are we fitted into the times we’re born into?” he asks two lowly communications workers. Yet, Lincoln was also a man with great power, one who could make a persuasive, fiery argument and who could convince even a more fervent abolitionist like Thaddeus Stevens (the excellent Tommy Lee Jones) to tone down his own rhetoric for the good of the cause. And he knew he didn’t have time to waste. Spielberg treats the subject with appropriate reverence, without being self-important (like he’s done in films like War Horse). He’s made Lincoln a history lesson that engages and entertains, and does so urgently, so we feel the significance of the moment and can rejoice in the way those times were a-changin’ — and still do today. 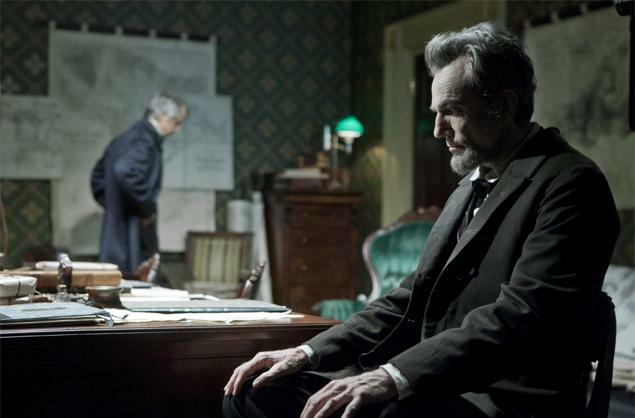 Lincoln is one of the year’s best films, and I’m giving it an A–. Will you be voting for Lincoln? Share your thoughts in the comments section below.